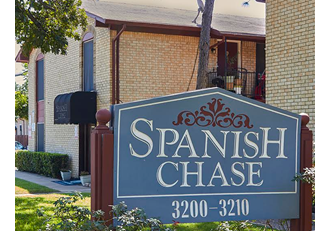 ​​​ IRVING – The Spanish Chase Apartments, a 77-unit, garden-style multifamily community, has changed hands. The 66,505-sf asset, 3200 West Pioneer Dr. in Irving, was 91 percent occupied at closing. Built in 1973, the asset includes a mix of one-, two-, and three-bedroom units with an average size of 864 sf.